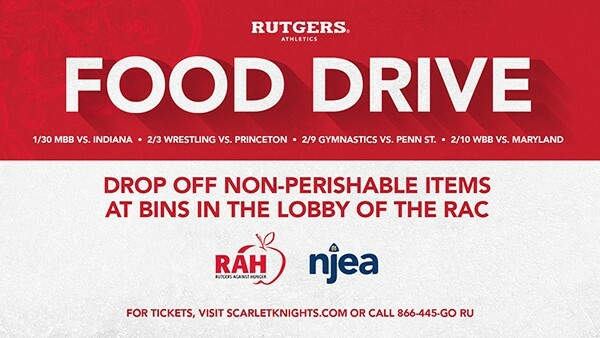 RAH will be hosting FOUR food drives at these athletic games! Bring non-perishable food items and help fight hunger! We will be tabling an hour before the game starts! For more information on purchasing tickets, please visit The Official Rutgers Athletics Website!